Endeavor to maintain a well-balanced diet that is rich in vitamins, minerals, and antioxidants. Stimulate your brain with mental exercises such as crossword puzzles and sudoku. Ensure you exercise regularly in order to increase oxygen supply to your brain and to also stimulate nerve cells. Ensure you are getting good quantity and quality of sleep as sleep deprivation can gradually trigger memory issues. Avoid the consumption of high-fat diets. Strive to replace saturated fats with healthier forms of fat. Avoid negative stress situations. You could also use yoga, deep breathing, or meditation to control stress. This is a deep maroon-colored veggie that offers a host of health benefits including boosting your brain performance. Beetroot is packed with beta-carotene, vitamin A and C, antioxidants, folate, and polyphenols. Moreover, it has high nitrate content which is attributed to increasing the blood flow to the brain for cognitive functioning. That’s why you should take a glass of beetroot juice before engaging in an exercise. 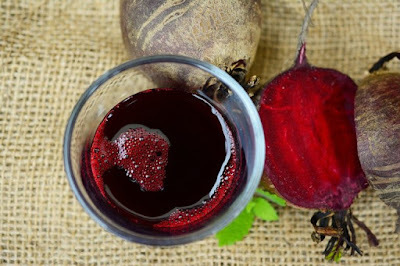 Beetroot is effective especially in young individuals and older adults. Avocado contains monounsaturated fats and omega-3 fatty acids which are linked to cognitive function. It’s also a rich source of vitamins A, an antioxidant that protects your brain from free radical damage. Furthermore, avocado has potassium, vitamin K, and folate which protect the brain from a stroke that may occur when a blood vessel blocks the blood from flowing into the brain. According to a study conducted at the University of Massachusetts, an apple can help to improve your brain power. Apple is loaded with quercetin, an antioxidant that protects your brain against degeneration and, most importantly, supplies the brain with nutrients to keep it active. Not only that, an apple reduces the risk of Alzheimer’s disease which may interfere with the proper functioning of the brain. With this in mind, you should drink apple juice, or simply take apples, on a daily basis to protect your brain from oxidative damage. Rosemary oil has a natural scent/aroma that can produce objective effects on cognitive performance. This essential oil is loaded with camphor, caffeic acid, eucalyptol, and betulinic acid which provide olfactory properties that positively interact with the brain cells. Besides increasing your memory power, it will ward may inhibit Alzheimer’s disease. You can either smell the herbs in their natural form or put a few drops of rosemary oil in a diffuser and inhale them. Fatty fish like salmon, tuna, herring, and sardines are packed with omega-3 fatty acids which help to improve memory in young adults. To get a healthy dose of omega-3 fatty acid, substitute meat for fish several times a week. For flavor, you could bake, boil or grill your fish. Avoid frying your fish. In fact, some studies have linked fried fish to brain damage as, often times, the oil used for frying contains trans fats. If you can’t handle the taste of fish, you can take omega-3 supplements as directed by your healthcare practitioner. Walnuts contain omega-3 fatty acids, vitamin E, folate, melatonin, and antioxidants which are associated with better brain function. In addition to giving better concentration, walnuts protect your brain from age-related mental illness. Besides that, walnuts contain alpha-linolenic acid which lowers the chances of getting a heart attack. A handful of walnuts a day can also help to fight memory loss. For these reasons, you should include walnuts in your dishes and breakfast bowls. Coconut oil is loaded with medium chain triglycerides which offer numerous health benefits such as improving immunity, preventing heart disease, and boosting your memory. Also, coconut oil has beneficial effects on blood pressure, blood sugar, and cholesterol levels. While there is no conclusive study, coconut oil works as an anti-inflammatory which helps to prevent dementia and Alzheimer’s disease. So, if you intend to give your brain that extra fuel to carry out its daily activities, you should take 3-4 tsp of coconut oil every day. You can as well add it to your oatmeal and smoothies. Almonds are an excellent source of lean protein, vitamin B-6, zinc, omega-3 fatty acids, and vitamin E which all help to improve memory function. Apart from enhancing memory, almonds help to slow the progression of Alzheimer’s disease and are good for your eyes. For this remedy, simply soak 5-10 almonds for 8-10 hours, peel the skin and grind them. Then, boil the paste in a glass of milk and drink once every day. Alternatively, you can roast sweet almonds or eat them raw. Blueberries contain flavonoid, an antioxidant that helps to boost cognitive function, especially in old age. Furthermore, blueberries protect your brain from oxidative damage which may lead to premature aging. When you consume blueberries, you help enhance the communication between neurons for better decision making, reasoning, and verbal comprehension. Apart from boosting your overall mental health, this fruit may help to reduce the effects of Alzheimer’s. Other berries that may be beneficial to the brain include goji berries and blackberries. If you’ve been searching for a natural method to boost your memory, you should incorporate flaxseeds and pumpkin seeds in your meals. Flaxseeds possess high amounts of omega-3 fatty acids and alpha-linolenic acid which both help to boost the cognitive function. On the other hand, pumpkin seeds have brain-building nutrients that include zinc and carotenoids. This could be the perfect combination for vegetarians.